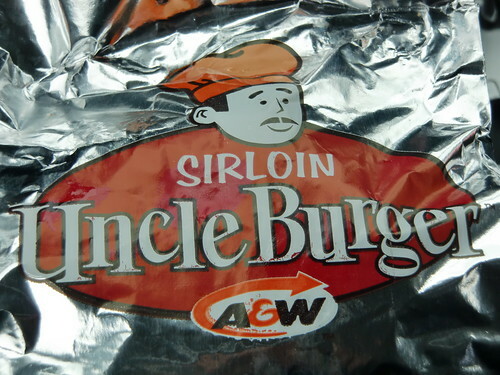 Well, I decided to try out A&W's bacon cheddar Uncle Burger (it has been around since 29 September, 2007). 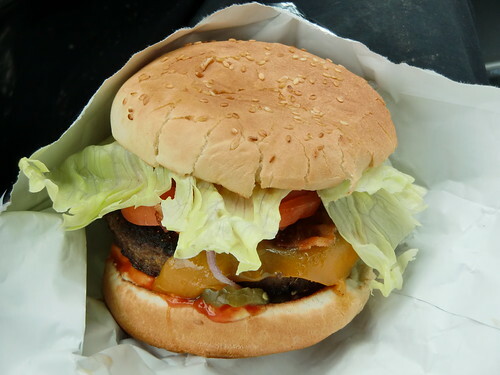 This 5 oz sirloin burger has: A&W seasoning, a sesame seed bun, real cheddar cheese, bacon, ketchup, mustard, pickles, mayo, whole leaf lettuce, tomato and an onion slice. This would be considered A&W's premium burger. The burger was actually pretty good. Much better than McDonald's new Angus Third Pounder. This is a definite recommendation.